Klei Games founder, Jamie Cheng, on the pros and cons of working in the shadow of the AAA games industry. It's been a cruel year for the AAA games industry. Venerable studios and publishers have folded, and many of those that haven't have been forced to cut staff to stay afloat. 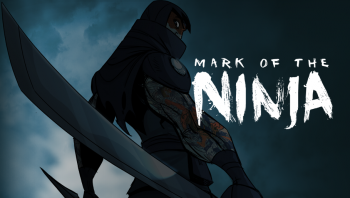 The influx of devs into the job market is a boon to smaller studios; Studios like Mark of the Ninja and Shank developer, Klei Games. "With all the changes and layoffs, we're seeing so many new studios come up that are doing these games without the crutch of hundreds of millions of dollars of marketing..." Klei founder, Jamie Cheng told GamesIndustry International. "I think for sure that the layoffs are fuelling way more development in the small, independent space." Cheng himself comes from a similar background. Before founding Klei in 2005, he was an AI programmer at now-defunct publisher THQ's Relic Entertainment (Homeworld, Warhammer 40,000: Dawn of War, Company of Heroes). While he's more than happy to snap up freshly laid-off developers, he doesn't want to see the AAA industry disappear entirely. "I enjoy having the large AAA around because they were hiring and training tons of people, and I can't do that," he continued. "We have 30 people and that seems like a lot in the independent space. I can't go out and train a lot of people in development, and that's what they were doing." While it may seem easy to dismiss Klei's efforts as "less important" than AAA games by virtue of sales, its worth remembering that every single one of the outfit's games have turned a profit. Yeah, Shank isn't exactly making wild bank, but it's making some money, unlike ... say, Tomb Raider, which is a "disappointment" despite over 3 million sales.